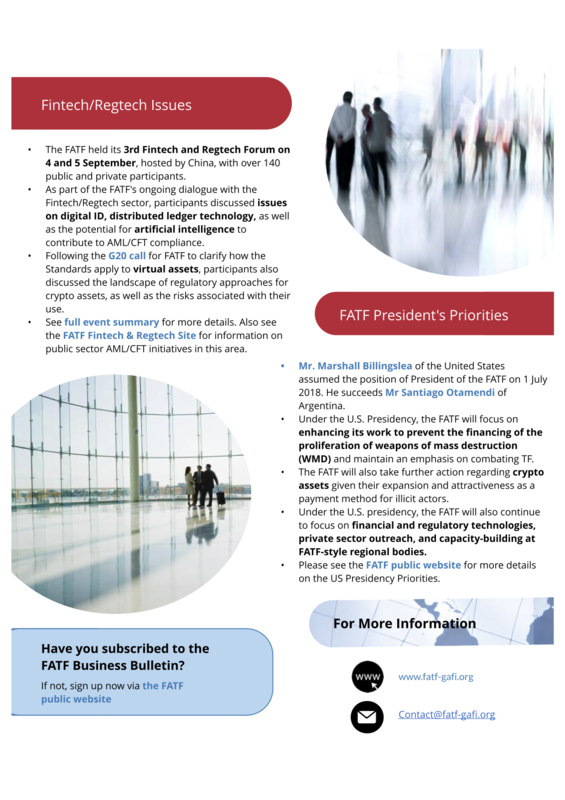 FATF (who joined forces with MENAFATF for the assessment) stressed that despite a range of measures introduced (including fundamental changes to the framework and two separate national risk assessments) the region is subject to significant risks given the presence of Al Qaeda cells, ISIS and other groups in the region. There have been many investigations and convictions recorded as a result of Saudi Arabias focus on TF but limited mechanisms to impose targeted financial sanctions. The report also noted a concerning lack of Suspicious Transaction Reports and low levels of awareness of ML/TF risk awareness outside the traditional reporting entities (eg DNFPBs). 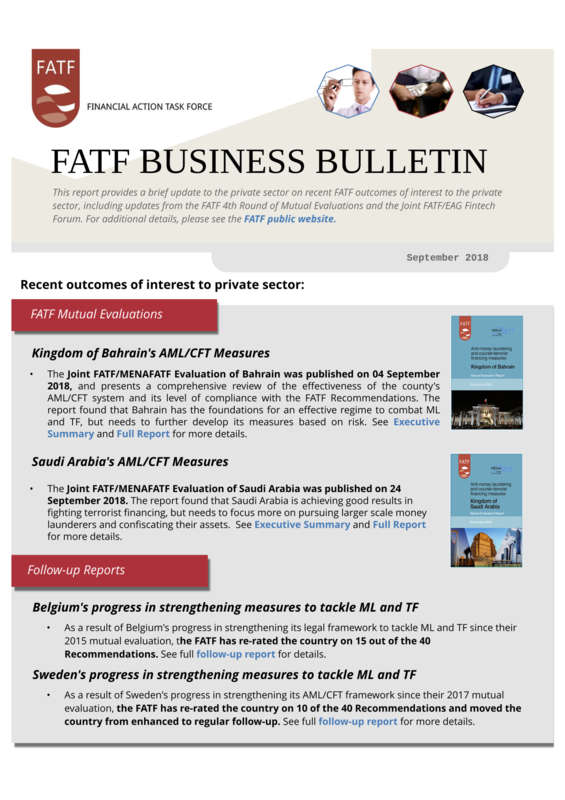 Further opportunities for improvement identified in the report included more proactive investigations by Saudi authorities and more sophisticated financial analysis. The report was conducted during an onsite in 2017 and was based on the 2013 methodology and 2012 FATF recommendations. Given the recent major updates to the Regulatory Framework of the member country, there was limited assessment available on the effectiveness of the regime overall. The final update for this week is the publication of the ministerial determination for the 2018/19 industry contribution levy. 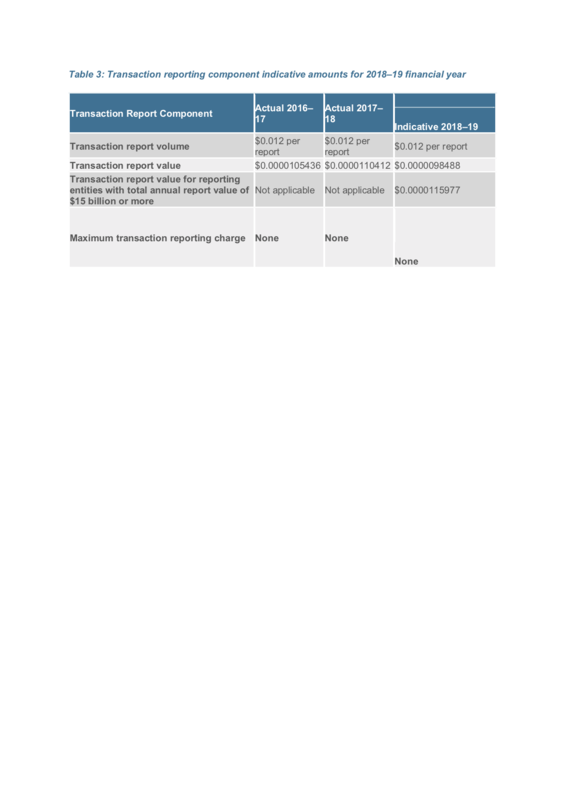 The way in which the recoverable amount will be apportioned amongst reporting entities. The costs for the new program “Strengthening Australia’s Defences Against Money Laundering and Terrorism Financing” announced by the Australian Government will be offset through a higher Industry Contribution levy on the largest reporting entities. It is estimated that out of the total reporting entity population of more than 14,000 entities, approximately 570 entities will be required to pay the levy in 2018–19. This continues the government’s objective to exempt small businesses and in turn, minimise their regulatory burden.